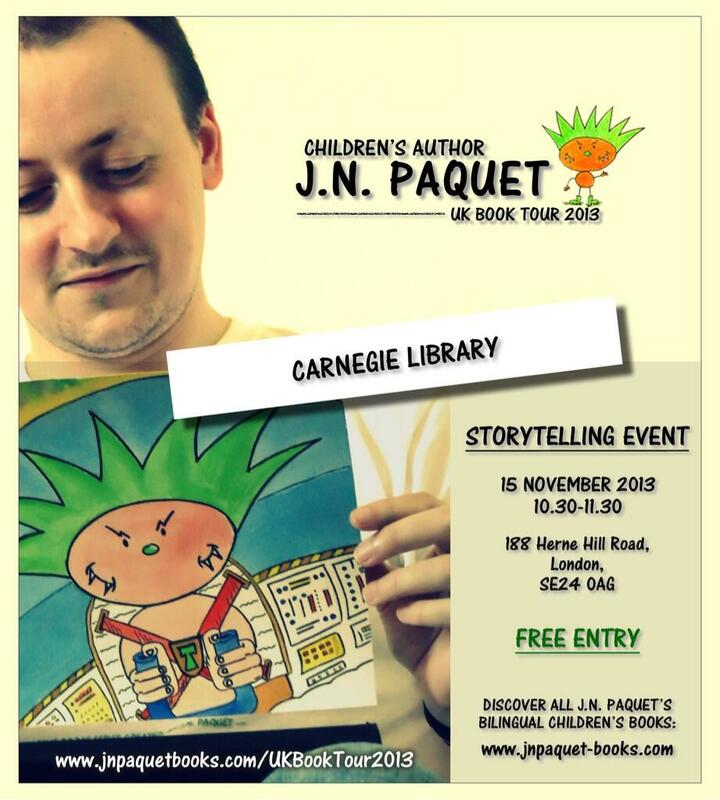 Children's author JN Paquet will host the Storytime session on Friday 15th November from 10.30am as part of his 2013 UK Book Tour. J.N. Paquet is a children's author and journalist who lived in France for 20 years, in Britain for 10 years and in Brazil for 3 years. Father of three trilingual children, he has written over 40 children's books - translated into nine languages - including the highly acclaimed bilingual children's books series 'The Book of The Animals' and 'The T-RRIBLE'. Through his books, he aims to promote literacy and bilingualism around the world, promote fun-learning as a positive attitude towards reading, and provide inspiration for the next generation of young readers and writers.